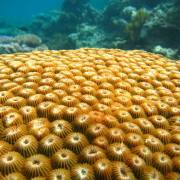 Wavelength is the longest running reef operator in Port Douglas apart from Quicksilver. Although starting at a similar time in the 1980’s, under the ownership of eco-tourism pioneer Steve Simpson, we retain the original philosophy; a small group, low-impact, close to nature educational adventure. 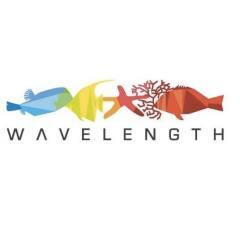 Wavelength is owned by John and Jenny Edmondson, both local marine biologists, and employs qualified marine biologists as crew in order to offer a high level of interpretation of the Great Barrier Reef. We believe this enhances our guests experience and appreciation of this remarkable World Heritage listed wonder. 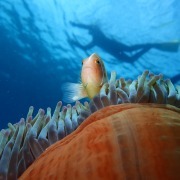 Wavelength selects all our sites based on the specific needs of snorkellers, and has more exclusive moorings on the Great Barrier Reef than any other local tour operator, selected exclusively for the needs and requirements of snorkellers. With more than 29 years of local operations, you can be assured that Wavelength is a reputable and experienced Great Barrier Reef tour operator. If we are still here after nearly 30 years then we must be doing something RIGHT!